Colorful Bouncy House Slide Combo is a Party Favorite! 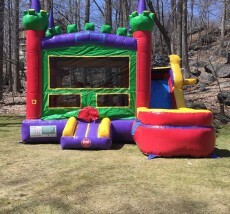 We have been delivering our New Colorful Bouncy House with Slide Combo every weekend at parties all over Westchester County, NY. 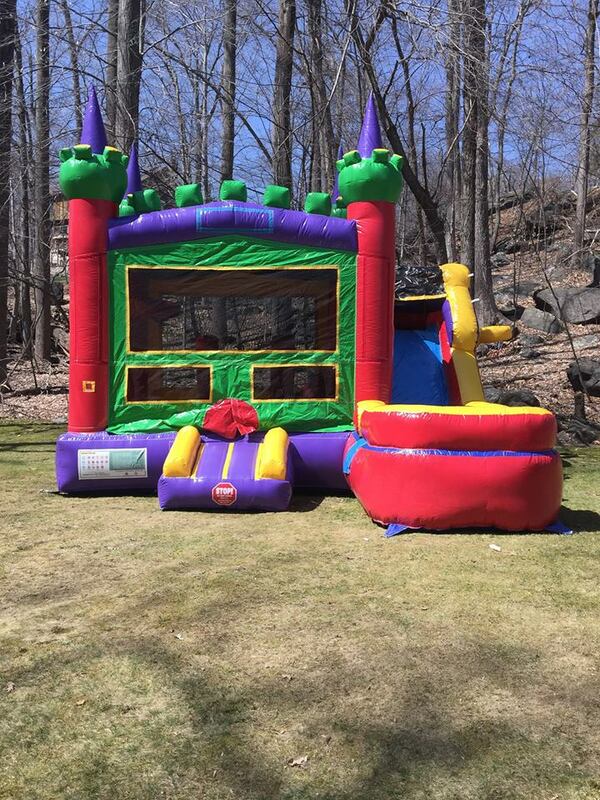 Many bouncy house companies only have 1 option for your party. Fiesta Bounce gives you several options. A large bouncing area, a pop-up obstacle course, a basketball hoop and an attached 7′ foot inflatable slide. We can provide FREE art panels that can be added to the front of this bouncy castle to match your party theme. This unit is great for birthday parties, communion gatherings, large events, and backyard parties. 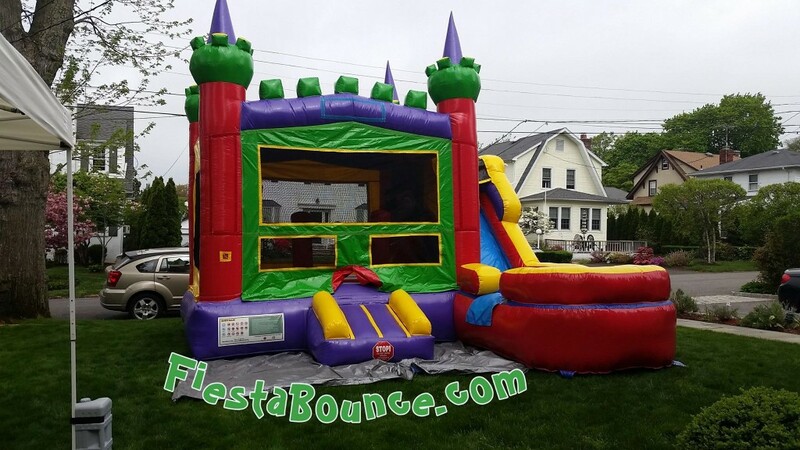 Fiesta Bounce deliveries bouncy house rentals all over Westchester County, NY including New Rochelle, White Plains, Tarrytown, Rye, Eastchester, Scarsdale, Yonkers and Surrounding Areas.